Truflo® offers flexibility no matter what type of mold handling you require. 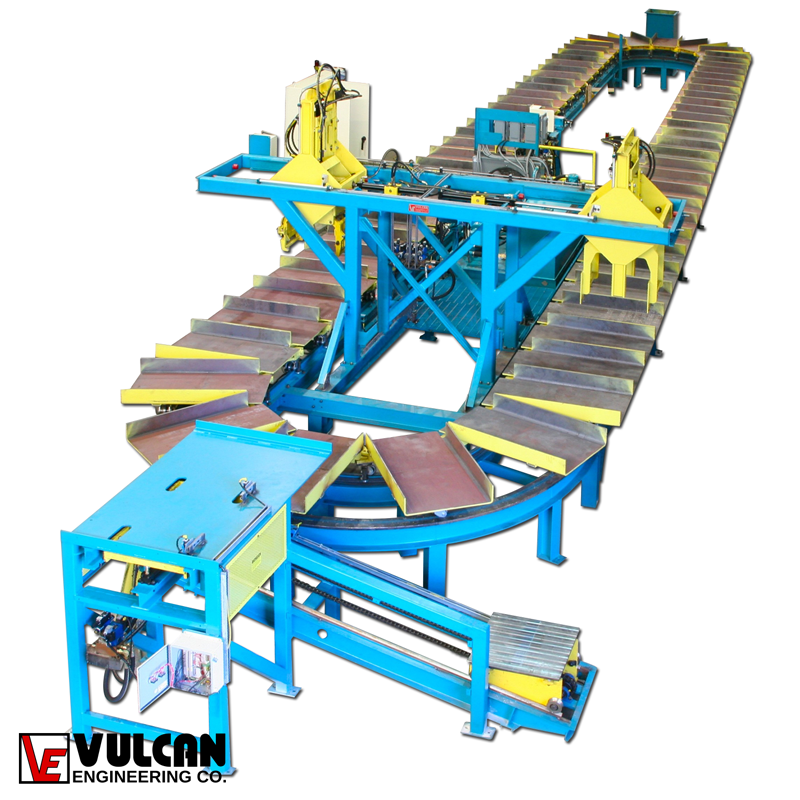 Vulcan offers 2 configurations of the Truflo® mold handling system, the L Series (Loop System) and the H series (Horizontal System) as standard models. This video features the L Series for fully automatic handling of molds from loading molds, shifting weights and jackets to pushing off molds onto a mold dump conveyor after cooling time has been achieved.